Remember that song from the Brady Bunch? I really don"t remember all of it either. Just the chorus was stuck in my head when I was packing. I got changed out of Chincha! 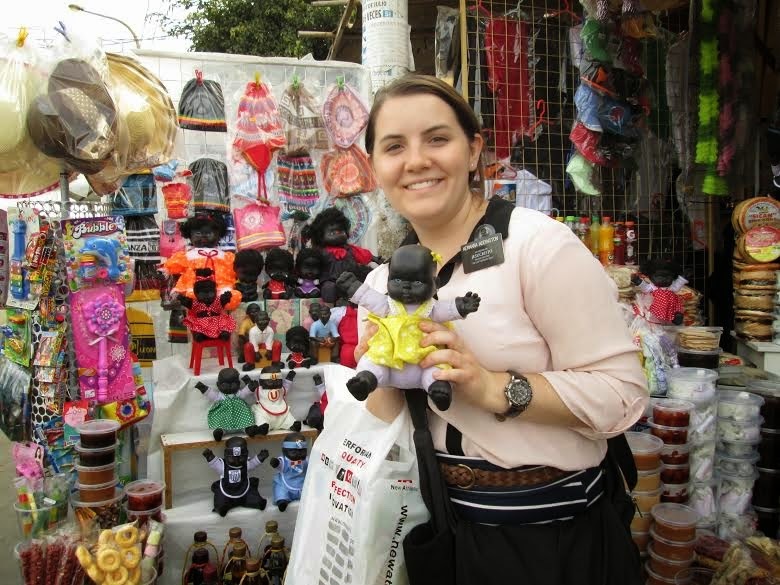 Now I am in Villa El Salvador with Hermana Jimenez, right outside of Lima. It really is interesting to be so close to the office now. I feel the influence of President Douglas looming over me like a pretty but very large cloud. But really, I am excited to have this transfer. 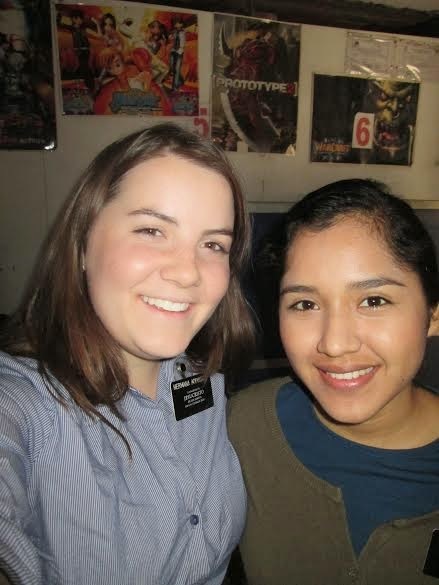 I loved Chincha with all my heart and stomach, but I know that it will be left in the good and tight grip of Hermana Mendoza. AMY LAURA GOT HER MISSION CALLL TO LATVIA. (Our cousin in the states). That is one of the most wicked coolest things I have heard all day, and I just heard that Justin Bieber got deported from the U.S.
Tell Amy Laura congrats, and I will send her an email next week. Thats all for today folks. I gotta pass the baton to Hermana Jimenez! Here is my new companera! 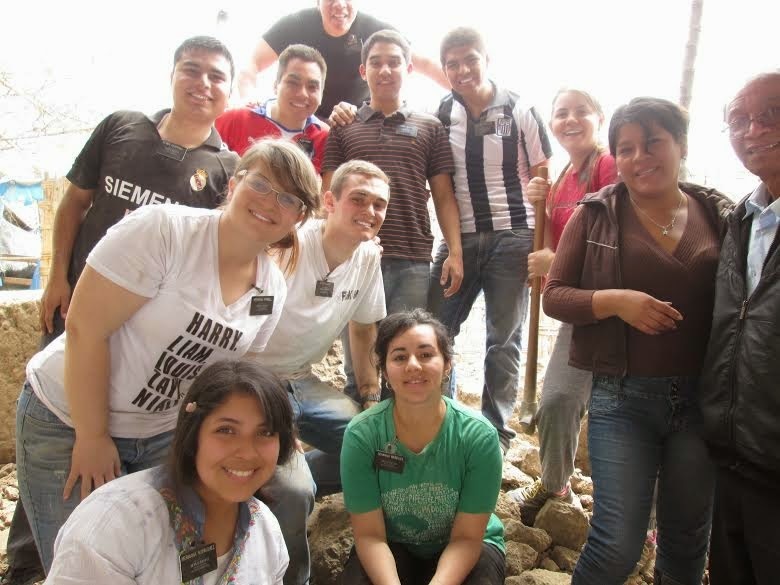 Her name is Hermana Jimenz, but she really is Catherina Zeta Jones in disguise. She"s from Mexico, and she is really funny. We are gonna have a fiesta together in Villa El Salvador. 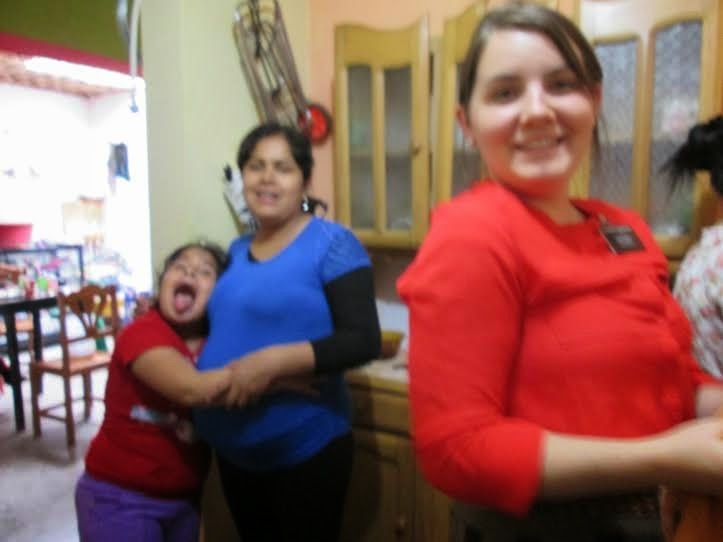 I am also gonna miss my wonderful investigator Juana and her super hyperactive daughter. Here is just a sample of how much patience we all had when I taught them how to bake cookies and crepes. By the way the crepes were fantastic, thank you very much.